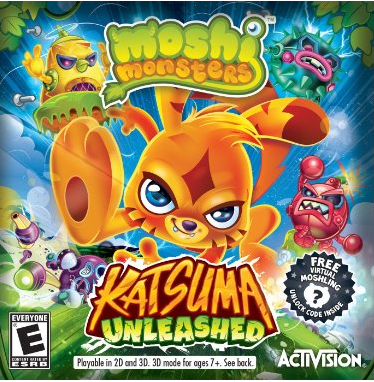 Moshi Monsters: Katsuma Unleashed For Nintendo DS and 3DS Systems Only $6.99-$9.97! You are here: Home / Great Deals / Amazon Deals / Moshi Monsters: Katsuma Unleashed For Nintendo DS and 3DS Systems Only $6.99-$9.97! Here’s a fun game deal for all you Nintendo DS/3DS owners! Right now you can get this Moshi Monsters: Katsuma Unleashed For Nintendo DS and 3DS Systems for only $6.99-$9.97 (reg. $24.99+)!